​Rock Your Cast Iron Studio Audition! 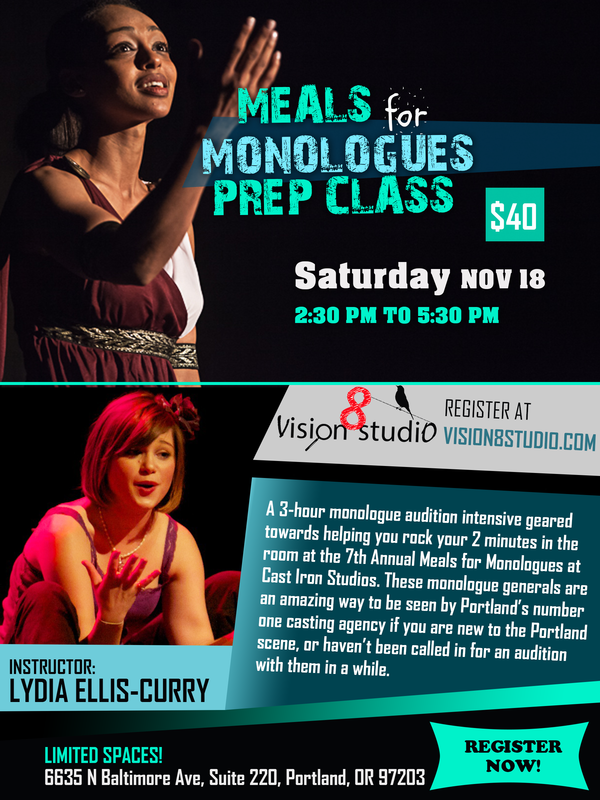 November 18th 2:30 p.m. - 5:30 p.m.
Class Overview: A 3-hour monologue audition intensive geared towards helping you rock your 2 minutes in the room at the 7th Annual Meals for Monologues at Cast Iron Studios. 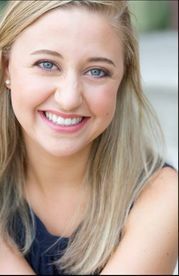 These monologue generals are an amazing way to be seen by Portland’s number one casting agency if you are new to the Portland scene, or haven’t been called in for an audition with them in a while. I’ll give you focused and intensive one-on-one coaching with your one or two monologues. We’ll talk through what to expect on the day of the audition, how to present your best self, and do a mock audition run through with the entire class at the end of our time together. We also may have a guest Director present for additional feedback. ​With a 95% callback rate for monologue auditions and a recent booking through Cast Iron for a major television network under my belt, I love to help actors craft their monologues to best showcase their strengths in a vulnerable and intimate way for this agency. ​What is Meals for Monologues? Learn more HERE. Let’s work together so that you shine at the 7th annual Meals for Monologues generals! Register Now! Class taught by Lydia Ellis-Curry.